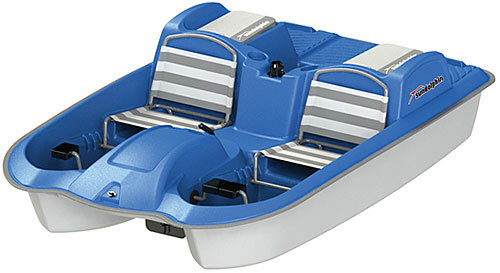 The Laguna pedal boat is a premium model that comfortably seats 2 adults and three children. 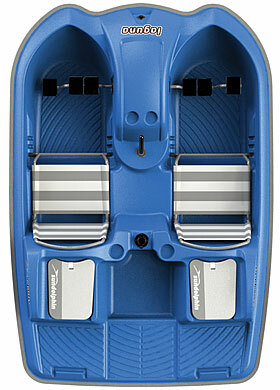 There are pedal positions for up to three riders. 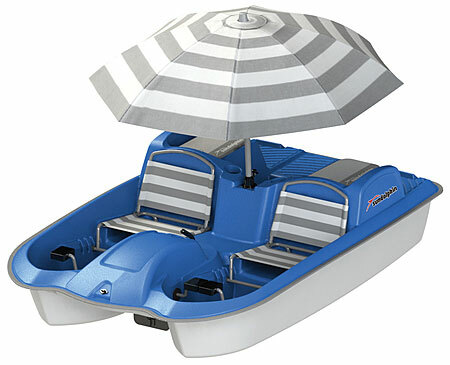 This full featured pedal boat comes standard with adjustable and removable bench seats, umbrella mount (umbrella not included), and internal steering linking system. Get out on the water for an exciting day in the Laguna!